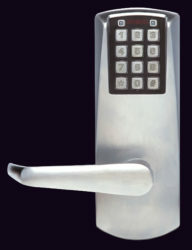 The Insafe Activa One is a smart vandal resistant standalone lockable handle which is self-powered requiring no batteries. 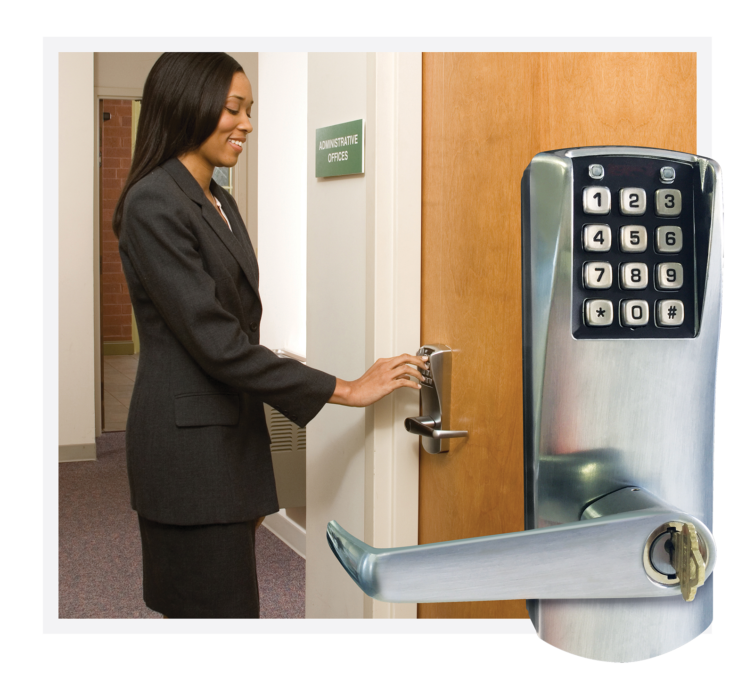 The lock is managed by keypad programming, eliminating the need for additional electronic devices and wiring through the door. The Activa One has PIN access removing the need for keyfobs or magnetic cards and any associated costs with lost or stolen credentials making this a cost effective solution for any business. The user-friendly design has audio visual indicators notifying users when access is granted or denied. 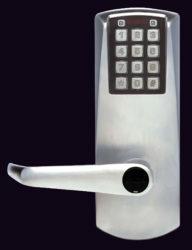 Administration is straightforward with the lock allowing for multiple users and up to 100 available codes. With optional software, audit trails can be generated to review the last 1000 events including the use of mechanical key override. (A) Interchangeable core key override, (B) Discrete black cover key override, (C) Solid handle without key override. 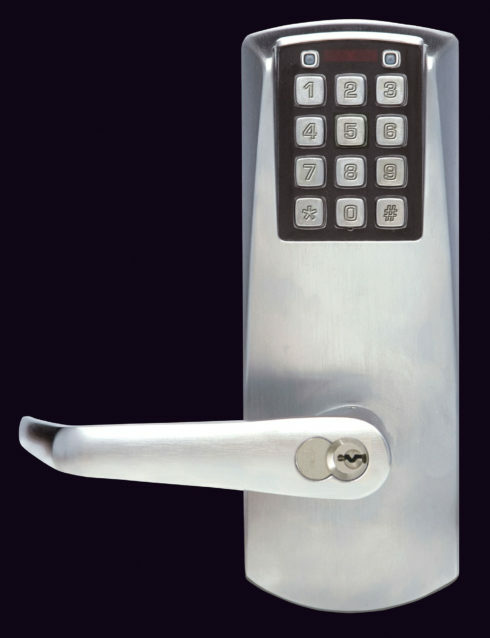 The Activa One offers an optional key override, anti-tamper lockout and a number of operational modes including full lockout and pre-programmed re-locks. Activa One is pre-assembled for left hand door installations though easily reversed in the field. It is available in satin chrome with the option of both satin brass and dark bronze finishes.